Fox Point is a seven-story residential building located in the Bronx with a cellar and 47,300 square feet of accessible space. 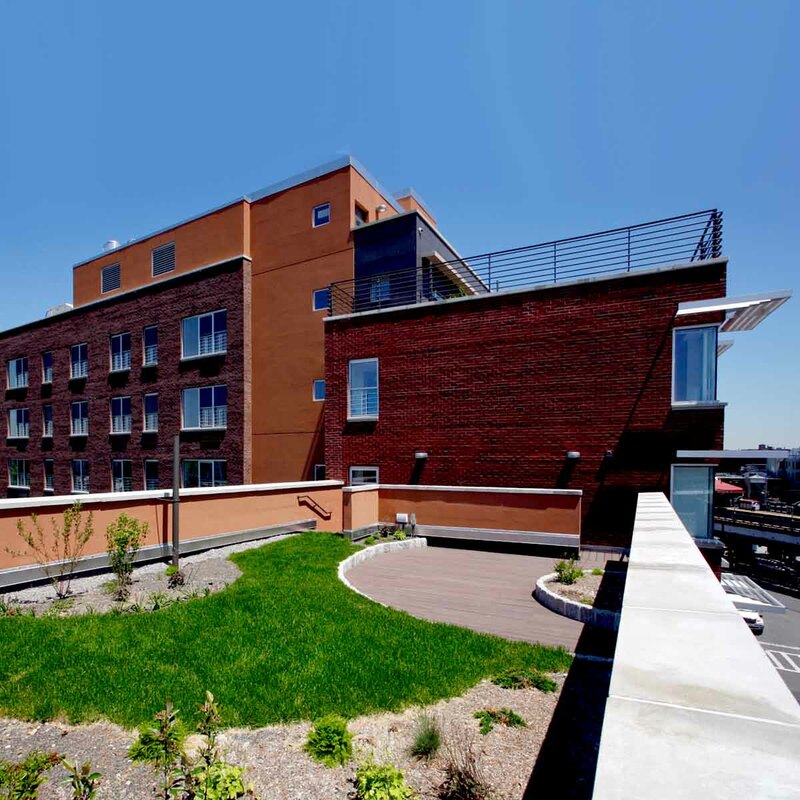 This affordable housing development provides 48 units of low income families and individuals and was one of the first in New York City to integrate green systems and materials into a building’s design and operation. The building envelope and engineering systems provide high performance sustainable architecture designed to create a healthy background for living. In 2012, Fox Point was awarded Outstanding Residence of the Year by the Supportive Housing Network of New York (SHNNY). Three key factors were considered to determine the building’s construction type: code compliance, cost estimate and site conditions. The selected masonry wall and floor plank system yielded a shorter construction duration than expected. The seven-story building was topped out in approximately four months once the foundations were in place, at a pace of approximately one floor per week. 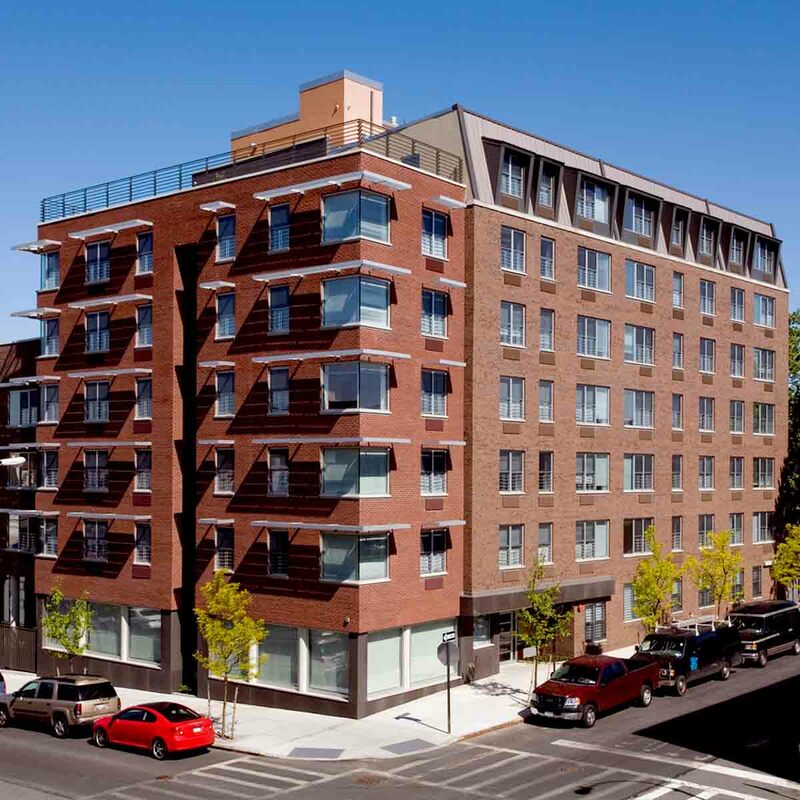 The fast construction of the building made it possible to control the cost the actual construction cost to $10.5 million, equivalent to a unit construction cost of approximately $222 per square foot, less than a similar local residential building. The use of precast plank and steel contributed three points to the LEED Silver rating of the building, based on the use of recycled content and regional materials. Designed to promote health and well-being of its occupants, Fox Point features sustainable green building initiatives including vegetative “green” roofs and solar reflective surfaces on the roof to reduce heat and cooling costs; highly efficient cooling and heating systems; weather stripping on all apartment doors; exterior sun shades that limit heat gain in hot weather months; and a micro-turbine system that generates energy to supplement lessened utility purchases. 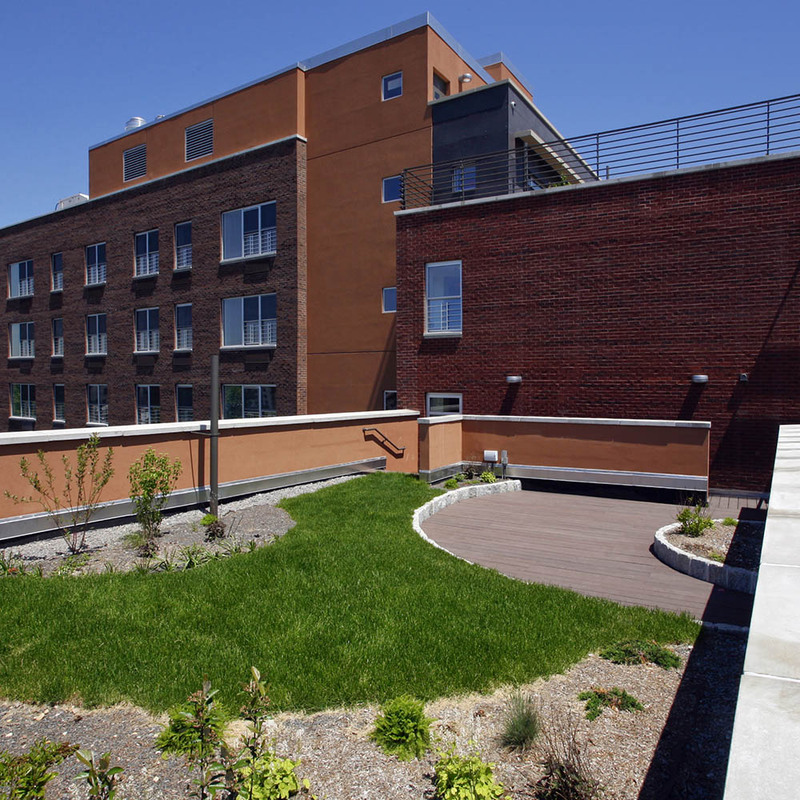 The green roofs comprise 18 pieces of 10-inch thick planks and 12 pieces of 12-inch thick planks at the seventh floor and the fifth floor. The sloped mansard roof is framed with cold-formed metal joists and corrugated decking.